"You live in Eden. You are a member of the Family, one of 532 descendants of Angela and Tommy. You shelter beneath the light and warmth of the Forest's lantern trees, hunting woollybuck and harvesting tree candy. Beyond the forest lie the treeless mountains of the Snowy Dark and a cold so bitter and a night so profound that no man has ever crossed it. The Oldest among you recount legends of a world where light came from the sky, where men and women made boats that could cross between worlds. One day, the Oldest say, they will come back for you. You live in Eden. You are a member of the Family, one of 532 descendants of two marooned explorers. You huddle, slowly starving, beneath the light and warmth of geothermal trees, confined to one barely habitable valley of a startlingly alien, sunless world. After 163 years and six generations of incestuous inbreeding, the Family is riddled with deformity and feeblemindedness. Your culture is a infantile stew of half-remembered fact and devolved ritual that stifles innovation and punishes independent thought. You are John Redlantern. You will break the laws of Eden, shatter the Family and change history. You will be the first to abandon hope, the first to abandon the old ways, the first to kill another, the first to venture in to the Dark, and the first to discover the truth about Eden." 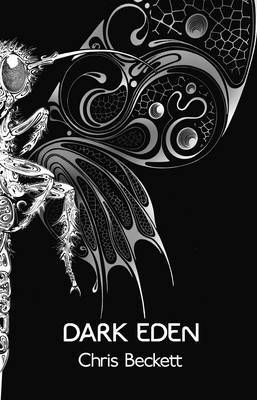 Corvus is one of those publishers that always brings something to the fore that not only hits the readers desires for their genres of choice but generates questions in the way that the title is presented. Having previously enjoyed Chris’ writing in The Holy Machine, I was more than intrigued to see what he’d present with this new story. Its one of thought, one that requires the reader to look through the eyes of the characters within and also gives them a chance to understand as well as get to know them on not only a personal level but how their own society sees them. It’s clever, it something that really generates depth and of course when you add the struggles and pitfalls associated with a survival situation, it’s a story that really does grab you from the first page to the last. Finally add to this an authorly voice that is not only authoritative but one that guides you by an unseen hand and it’s a tale that will stay with you after the final page is turned. Great stuff.